It’s nearly here… Bournemouth Wheels Festival is back from 29th-31st May 2015 – between 10am – 6pm. Gear up for the UK’s biggest FREE wheels-themed family event. Adrenaline-fuelled historic F1 and Le Mans car demos, car-crushing monster truck shows, heart-stopping motorbike, skateboard and BMX stunts, supercar shows, beautiful and vintage displays! It’s nearly here… Bournemouth Wheels Festival is back from 29th-31st May 2015 – between 10am – 6pm. 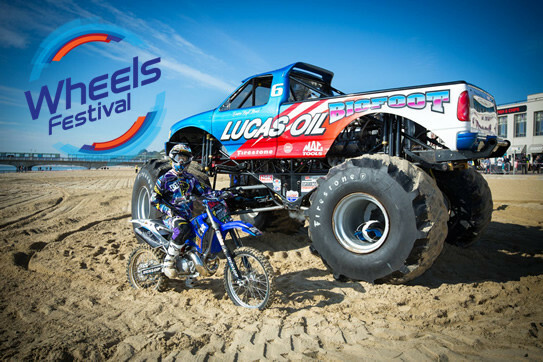 Gear up for the UK’s biggest FREE wheels-themed family event. Adrenaline-fuelled historic F1 and Le Mans car demos, car-crushing monster truck shows, heart-stopping motorbike, skateboard and BMX stunts, supercar shows, beautiful and vintage displays!